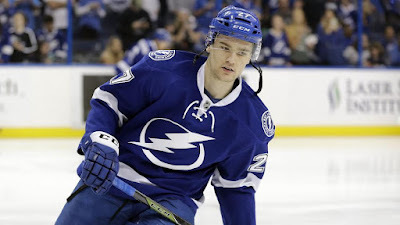 Drouin Watch is on high alert as reports continue to surface that a deal may happen as early as this weekend. The St. Louis Blues have emerged as the clear frontrunner. I wrote earlier this week that the Blues were looking for wingers, and Drouin might make some sense there. What would St. Louis be offering in return? We know Carl Gunnarsson is on the block, and the Lightning are looking for defensive depth. Obviously, it would take a bit more than that to pry away Drouin. 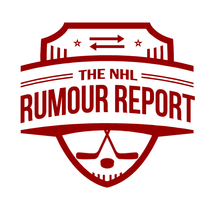 Kevin Shattenkirk is another defenseman who has seen his name in the rumour mill, although Tampa might have to add something to Drouin to balance that deal out. Patrik Berglund, the oft injured and unproductive centerman, has also seen his name out there. But at $3.7 million for the next two years, it's hard to picture Berglund being of much interest to the Lightning. Centerman and captain David Backes saw his name in trade rumours this summer, although that's cooled off quite a bit since. Prospect winger Ty Rattie has had cups of coffee in the NHL, but has yet to prove himself as a regular. Rattie's name has been out there for close to a year, and might be the young forward that partially replaces what Drouin brings. Others have mentioned Robby Fabbri and Jake Walman as options. Whatever St. Louis is offering, there probably isn't a perfect piece that would make this a one-for-one deal. Expect a mixture of NHL ready talent and prospects. Who else is in the hunt? Plenty of teams have emerged as possibilities. The Canadiens, Rangers and Ducks seem to have emerged as the second tier of interested teams. The Leafs, Senators, Oilers and Avalanche have shown levels of interest, and there's many more who have at least explored the possibility of a deal with the Lightning. Given the Lightning's expressed desire to ship Drouin out West, it's likely that this comes down to St. Louis, Colorado and perhaps another team or two. Would the Avalanche be willing to part with pending RFA defenseman Tyson Barrie, who has seen his name in trade rumours lately? All signs point to a Drouin trade coming within the next week or so. If not, this might be a deal Yzerman makes closer to the NHL entry draft in June. Small bonus rumour: the Red Wings may be looking to make a small roster move with Quincey coming back off IR. It's believed the Wings would like to either move a depth defenseman or forward. Certainly, the Wings have a surplus of both.